Are We Just Going Through The Motions ? Unfortunately, we have to observe another Tisha B'av this year. This day is our National Day of Mourning because of several catastrophic events that occurred on this day. The most depressing event that occurred on this day was the destruction of the Jewish Temple in Jerusalem by the Romans nearly two thousand years ago. Not only was the central location of Jewish worship destroyed after 420 years of being the spiritual oasis of the nation, but the surviving Jews were banished into exile, while Jerusalem lay in ruins. The Rabbis declared that day always to be marked with intense mourning. One should refrain from eating, drinking, bathing among other things as well. People come to synagogue and sit on the floor as the Book of Lamentations is chanted in a somber tune. My question is are we actually feeling the pain and mourning? Does it really bother us that the central location of Jewish worship has disappeared and been replaced with another house of worship by another faith ? I ask this especially in light of the root cause of the destruction of the Temple. It was not because people were not observing Shabbos or eating non-Kosher. It was because there was internal division among Jews. It was because mistrust and animosity replaced peace and harmony. It was because we were not sensitive enough to our brothers and sisters. Finally, G-d said if the people have so much friction with themselves, I am withdrawing My Presence. Shortly after, the Romans arrived and destroyed Jerusalem one block at a time until the most sacred area in Judaism was engulfed in flames. So as we sit on the floor this year and bemoan the fact that there is no Temple in Jerusalem, let us contemplate the state of Jewry today both in here in the diaspora and in the Land of Israel. Let us ask ourselves if we have learned our lesson from the catastrophic events of two thousand years ago ? Why can't we show some mutual respect toward each one another even of the other person is less or more observant? 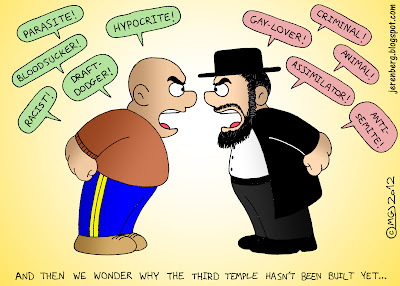 Why does insisting that ones position is the correct one many times end up castigating another individual or an entire segment of Klal Yisrael ? How painful is it to hear that a Jewish soldier walks through a Jewish neighborhood in Jerusalem and is attacked because others don't agree with his opinion ! Let us look inward this Tisha B'av and ask ourselves --Are we going to do anything to improve unity among Klal Yisrael? Or are we just going through the motions? Have you ever failed at something that left you feeling really deflated? Have you had your share of setbacks and disappointments? If you have, then you are like everyone in life. There is no one since the beginning of time until the very moment that you are reading this blog that has not failed at something. The question is, how do we react to our failures? Do we wallow in self-pity and despair? Have we fallen down that it is it too hard to get up? Or is it possible to somehow transform a failure into a positive experience? I think there is a great lesson in this weeks parsha that speaks to this idea. The Torah articulates the 42 stops the Jewish people made along the way from Egypt into the Land of Israel over the course of their 40 year journey. Why was it necessary for the Torah to repeat all the times they stopped at a 7-11 along the way? Rashi explains this with a parable. There once was a king who had a very ill son. They traveled to a faraway land to seek the assistance of a well-known physician. They finally reached their destination and with G-D's help -- the child was cured from this deadly disease. On the way home, the king pointed out to his son all the difficulties that took place along the route to the destination. Rashi applies this lesson to the parsha. Now that we had reached the final destination -- the border of the Holy Land, G-d was pointing out all of our failures as well. This is where we had the Golden calf, the story of the Spies, Korach etc. We were being reminded of our failures because it is precisely because of our failures that we were able to become successful. The people transformed the setbacks and disappointments into learning experiences for the future. There was once a basketball player who said this about his career. "I've missed more than 9000 shots in my career. I've lost almost 300 games. 26 times, I've been trusted to take the game winning shot and missed. I've failed over and over and over again in my life. And that is why I succeed." 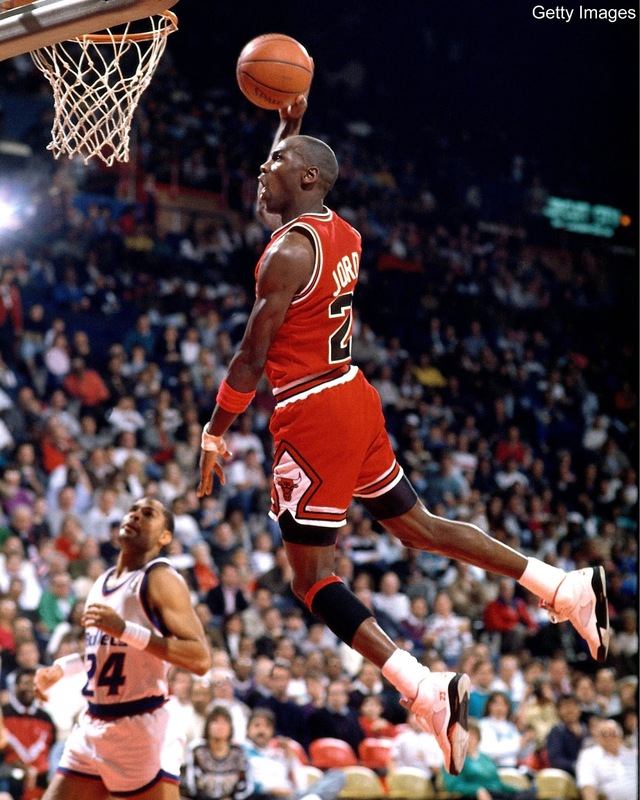 This player is Michael Jordan -- the greatest player of all time.